The USgamer community turns to JRPGs (and Pokémon Go) to get through the long summer. Plus: The rest of the results from last week's informal poll, and what the USgamer staff is playing. Welcome to the second of our monthly Power Polls, where we ask what games you are all enjoying the most. Here are the results, along with what the USG staff is enjoying right now. With it being squarely in the middle of the summer release doldrums, it seems that most of you are going for more niche fare, with JRPGs dominating the top games. Naturally, Pokemon Go is up there as well, but one surprising game from June near caught it. Overwatch, which was last month's most popular game, fell out of the top spot, but still is being played quite a bit. One thing that stood out to me: The number of you playing Dragon Quest V. I guess a bunch of you are getting ready for the impending Dragon Quest VII re-release? In any case, here are this month's most popular games from the USgamer community. This is pretty much expected, isn't it? 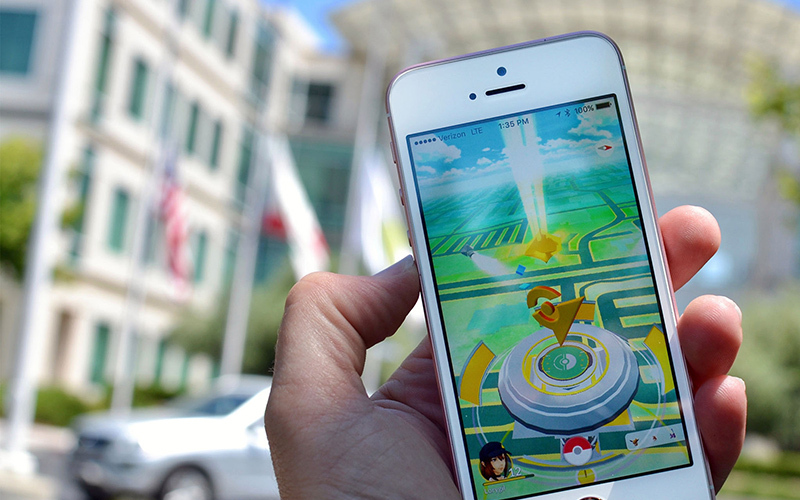 Pokémon Go exploded in July, quickly displacing Overwatch as the biggest thing in 2016 so far. That doesn't necessarily mean that it's good, but it's hard to deny its power to show us new frontiers in gaming and community building. I simply haven't seen anything as big as Pokémon Go since the original Red/Blue blew up back in 1998. Its success may be short-lived, though. As fun as it is to capture Pokémon, Niantic has made little progress in fixing its rampant bugs, and the removal of support for various tracking sites has rubbed the community the wrong way. Will it be a fad after all? We'll know soon enough. 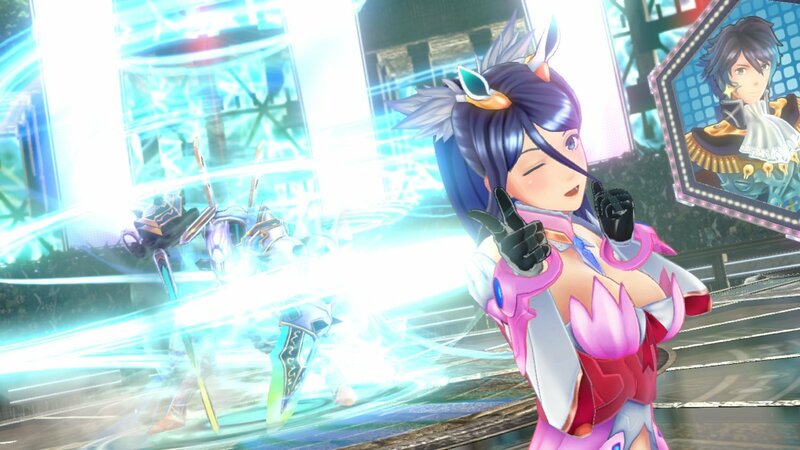 Tokyo Mirage Sessions #FE jumps up to the number two spot this month, garnering nine mentions from the community. The-Fool speaks for the community when he writes, "Have finished TMS#FE and really, really enjoyed it. The combat was great, the music was great and the dungeons were great. I'm more excited for P5 because of it, as they seem to be taking some cues from TMS#FE (non-randomised dungeons, thank heavens)." No one is really talking about it elsewhere, but it's definitely getting a lot of favorable buzz around here. If you haven't checked it out, now is a good time before the big releases start hitting in August and September. I Am Setsuna is another game that isn't getting a ton of hype - mostly because it's digital only - but nevertheless seems to have captured our community's attention. On the subject of Square Enix's throwback, andreizanescu53 wrote, "I Am Setsuna works for me because it's such a throwback. It remains almost impossible to recapture the lightning in a bottle that was Chrono Trigger, but I respect I Am Setsuna for trying to accomplish just that. The characters are charming, the setting is distinct from most JRPG titles and the soundtrack is mellow and enchanting. Mechanically the game straddles the line between hyper-complex and casual, giving me just enough options to customize and work through, while not confusing me. It feels like a proper classic JPRG to me. It's comfort food for those of us that grew up with Final Fantasy and Chrono Trigger." 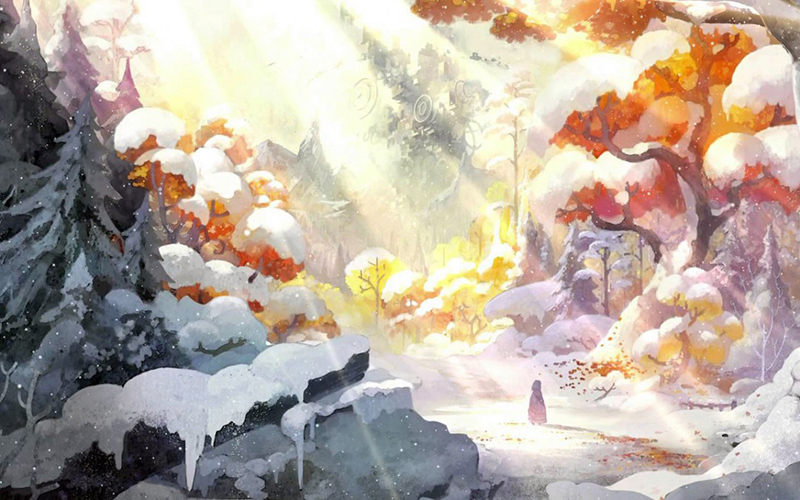 You can hear more about I Am Setsuna on our RPG podcast, Axe of the Blood God. This one comes as a bit of a surprise (but a nice one!) Fire Emblem Fates came out months ago, and it didn't chart when we did this last month, but a bunch of you apparently got on the Fire Emblem Fates train in July. Gamer-Law writes, "I am 212 hours into Fire Emblem Fates (the only game I really played between February and the beginning of July) and still going strong. 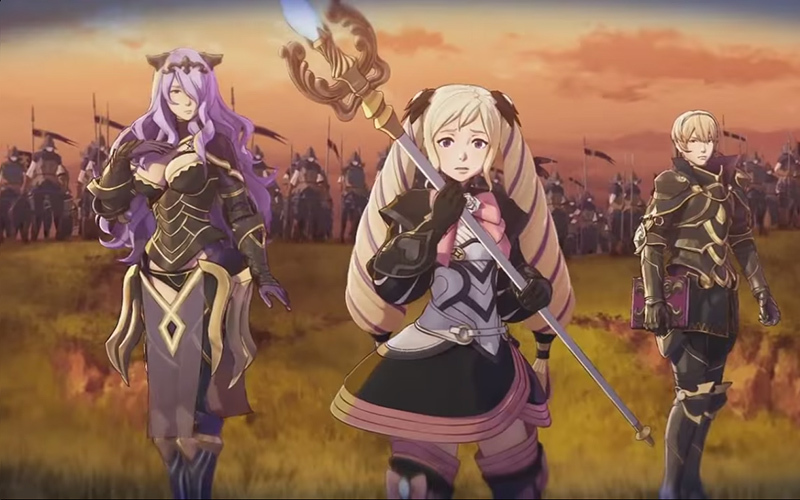 The continued release of DLC map packs serves as a reminder of just how great Fates is. I enjoyed Conquest slightly more than Birthright, but each provided a complete experience that never felt contrived. Hard to believe that anything will top Fates for my GOTY." I still have to get around to playing Revelation. Soon, I hope! I'm being very boring and predictable at the moment, and am still playing what I was playing last month – and that's Overwatch, Blizzard's superb character-based shooter. At this point, I've put over 100 hours into the game and still haven't got tired of it yet. I play mostly as Mercy, because it seems that – in Quickplay at least – few people play support characters. So I fill in, which I'm more than happy to do because I enjoy the challenge of healing the team and keeping everyone alive for as long as possible. However, I do see Overwatch's lock on my game time finally being broken next month when World of Warcraft's latest expansion, Legion, is finally unleashed. I'm really looking forward to checking that out, and seeing exactly what it does to update the game. After the rather disappointing Warlords of Draenor expansion, I'm hoping that the significant changes that have been made to all the different character archetypes will rejuvenate the game. It certainly sounds like the WoW development team have done a lot of work to the game to change up its gameplay, so I have high hopes. We'll just have to wait and see when the game is released at the end of August! Honestly, I've been splitting my time between two games that are in the same general wheelhouse: Starbound and Rimworld. Both pit you against hard and unforgiving environments, asking you to build something new from the wreckage of shattered starship. The difference is in the presentation. Starbound is closer to Terraria and by extension, Minecraft, in that you're a lone figure that can directly face the world. You're the one cave diving and fighting indigenous creatures. You build your settlement and defenses. Sure, you'll eventually become the very proactive mayor of a colony, but the focus is still largely on the player. It's about overcoming the environment. Rimworld places you in the shoes of a silent overseer of randomly-generated colonists, each with their own background, needs, wants, and desires. You can directly take control of them in certain circumstance, but for the most part, you're guiding them towards what you want to do. The fun in Rimworld is attempting to build something, only to see the entire house of cards fall because of the reactions of a colonist to the things that Rimworld throws your way. Starbound is about the personal win, taking small steps forward very slowly and experiencing the sense of elation as you move to the next level. Rimworld is more about the stories that are created in the intersection between you, your colonists, and the world. Similar premises, very different experiences and I love them both. I'm on vacation this week, which means I now have the time to concentrate on video games without the anxieties and distractions of my normal working life. (Yes, I realize my life is extremely interesting.) So it shouldn't be surprising that I've fallen back into Monster Hunter Generations after putting it down for a bit following my review. While I loved 4U, in retrospect, Generations adds more meaningful refinements, and completely eliminates some annoyances that have stuck around for the last ten-or-so years of the series. What I like best about it is that it's not nearly as stingy as past games; you still have to work hard, mind you, but I find myself getting a lot more resources than I ever did in past Monster Hunters. That's certainly better than undergoing the same mission upwards of a dozen times in the hopes a monster will drop the one item you need to craft a piece of armor or weapon. And, because I feel so guilty about leaving my review-in-progress lingering, I've been plugging away at Zero Time Dilemma and should have my full review ready by the time I get back. It's been a wild ride so far, and I'm psyched to see what narrative curveball the game throws me next. So if you've been on the fence about ZTD since its late June release, you should be able to safely remove yourself from this position once I post an official score in the not-too-distant future. I spent most of July on the road, which left me almost no time for console or PC games, but did have the benefit of getting me to reengage with my Nintendo 3DS. I'm never quite sure what I'm going to end up playing when I'm on vacation. Usually, I buy a wide array of games, then end up playing something completely random - in this case, Pocket Card Jockey. Pockey Card Jockey, in case you're unfamiliar with it, mixes horse racing with solitaire - an odd combination at first blush, but one that soon proves its brilliance. Even better is its strange sense of humor, which sees the protagonist jockey die and get brought to life with the power to influence race results with the power of solitaire. It's an idea that's hilarious as it is strange. I've now run multiple horses, my favorite of them being Rapidash King - a fiery competitor who managed to capture a G1 championship just before turning four years old. I wound up breeding Rapidash King with my most successful female horse, and now their progeny is rising fast and dominating the ranks of the two-year-olds. It's both stupidly fun and extremely challenging, taking the normally sedate game of solitaire and breaking it into a serious of speed rounds that will give you a near heart attack. If you haven't played it, I can't recommend it enough. It's seriously the best thing to come out of Game Freak in years. Besides I Am Setsuna, which Kat and I talk about in this week's Axe of the Blood God podcast (with a very special guest! ), I've been playing a great deal of Ys: The Oath in Felghana and an even greater deal of Starbound. I'm coming quite close to Felghana's ending, though I'm nowhere close to the end of Starbound … and I suspect I never will be. Starbound is in the Minecraft-Terreria family of games that focus around exploring, crafting, and fighting. Starbound does offer you clear goals and missions, which is kind of a relief (I've mentioned a few times that Minecraft's lack of direction makes me paranoid about wasting time while playing it), but completing even one quest can take hours. I'm in this one for the long haul. Thankfully, the universe is patient. Tagged with Analyses,	power poll,	what we're playing.